Today I’m talking to Aaron Esparza, Field Organizer for Restore Your Vote campaign, a project of the Campaign Legal Center. He’s here to provide information about how ex-felons can restore their voting rights here in Nevada. Aaron could you tell us more about the campaign? Thanks for having me here today. Our campaign is focused on fighting the misconception that a lot of folks have that once you have a felony that your done and you’ll never get to vote again. It could not be further from the truth here in Nevada. Our main focus is using organizing and legal tactics to try to fix this. It comes down to educating the community about these laws, assisting people through the rights restoration process, and training other groups and individuals to carry this on. We’re just a 10-week campaign and we want to make sure that this information lasts and that people can carry this baton on once we’re gone. So if we could go through each of these points that you’ve made I think it would be helpful so people could understand what you’re doing. So tell us, how are you educating people? This is probably our biggest obstacle right now because people just assume that a felony will stop you from voting. The way it works here in Nevada is that as long as you finish your sentence, that as long as you are off of parole or probation, and you’re not currently incarcerated, then you have a pathway for restoring your voting rights. That’s going to help so many people. How are you assisting everyone? For many people if they have a one-time non-violent offense, they should be able to vote and that’s part of our education campaign. If you have multiple offenses, a violent offense or if you were dishonorable discharged in the State of Nevada, that means that you have to go through a petition process. (Noted later in conversation that you will probably not get your voting rights back for a violent offense). That’s really where a lot of people are getting stopped. There was a study from 1990 to 2011 that found that only 283 people in the State of Nevada even attempted to restore their voting rights. Your campaign is 10 weeks (Note: Ending mid-October), so after you move on and somebody has a question where would they go? Our best partner in this has been the ACLU. About half of the folks that I talk to who initially say they can’t vote because of a past felony conviction, about half of them I can actually tell them that if they have a conviction from, say, California, then their rights have already been restored; or if they have 10 misdemeanors they can vote. In cases where it’s more complicated, then we’re sending them to the ACLU who have been phenomenal and more than happy to help people out. We’re getting a lot of people now with the upcoming elections; people are excited about so many elections here in Nevada. If you’re interested in restoring your rights we’re more than happy to help you out or you can contact the ACLU. You also mentioned that you’re doing training. Could you tell us who you’re training and how those people are going to be helpful? 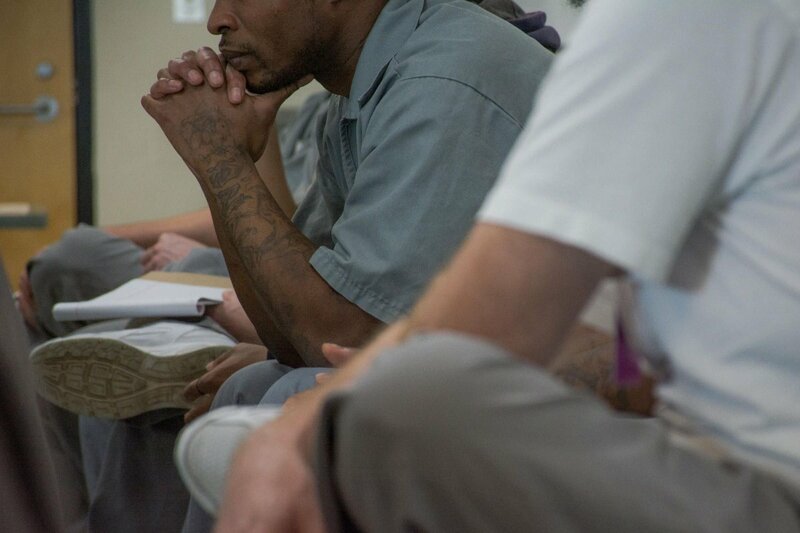 It’s me and my other colleague in Reno that are in Nevada, so we simply don’t have enough hands to reach out to the 60,000 Nevadans with a past felony conviction, so we’re teaming up with other organizations so they know exactly what they need to do when they meet somebody. We want to make sure that they understand and they shouldn’t be turning anyone away if they had a felony conviction and they’re tracking them as well. So if they know that this person needs a petition then we’re passing them along to the ACLU. We’re talking to voter registration groups. If you’ve met someone and they’ve come up to you with a clipboard and you tell them you can’t vote because you have a felony I would hope that they would get your name and contact information and then they’ll pass it onto us. That’s been a huge source of how we’re reaching out to the community. Additional a lot of non-profits are helping, we’re working with FIT (Foundation for an Independent Tomorrow) and they’ve been really tremendous. We go there every Monday when they do their orientation and we let folks know if they’re interested in restoring their voting rights we’re more than happy to help you out. We’ve reached out to non-profits in Nevada because we want to make sure that as many people in this situation know their rights. FIT is a really good organization and there’s several others in the area like FFIP (Friends and Family of Incarcerated Persons) who will also provide that information. You had given me a little bit of information when we started talking about how many people you’ve reached. So, how many people have you reached out to so far in your campaign? So far between me and my colleague, Anthony, we’ve reached out to close to 500 people. It looks like we’re definitely going to surpass our goal of 600. Every day on average, during the past week, there have been about 30 people that we’ve been receiving that would like to find out more about restoring their voting rights. The numbers are adding up and we’re really excited, and every day we’re making a difference. Thank you for what you’re doing. I know it’s so important for people to get out there and vote, and especially people that didn’t think that they’d be able to vote again and they’re going to have those rights restored. So I want to thank you and do you have any last words before we end our conversation? I just want to leave you with a reminder to think about everyone in your family, neighbors, colleagues, and if anyone you meet says that they can’t vote because they have a felony, talk to them about it. As long as they’ve finished their sentence, as long as they are off of parole or probation, they have a path for restoring their voting rights and they should really look into that. We’d love to help them out.